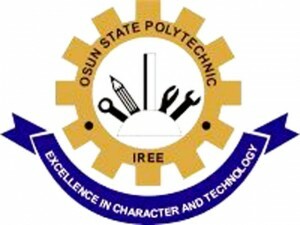 This is to inform all the candidates that participated in the Osun State Polytechnic, Iree (OSPOLY) post UTME screening exercise for the 2018/2019 academic session that they can now check their admission status. OSPOLY admission list which contains the names of candidates offered provisional admission into the polytechnic ND full-time programmes has been uploaded online. Osun State Poly Admission List. Congratulations to all the candidates that made it to Ospoly Iree admission list for the 2018/2019 academic session.